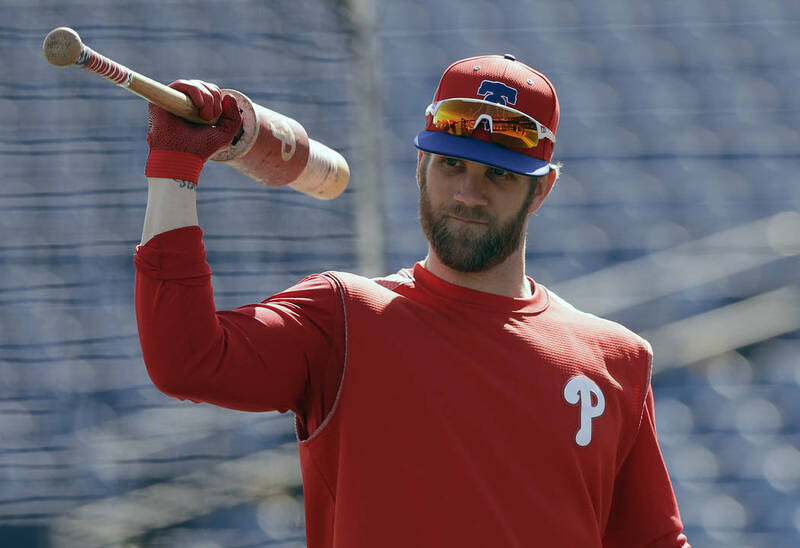 Bryce Harper drew a five-pitch walk on Saturday in his first spring training plate appearance since signing a record contract with the Philadelphia Phillies. 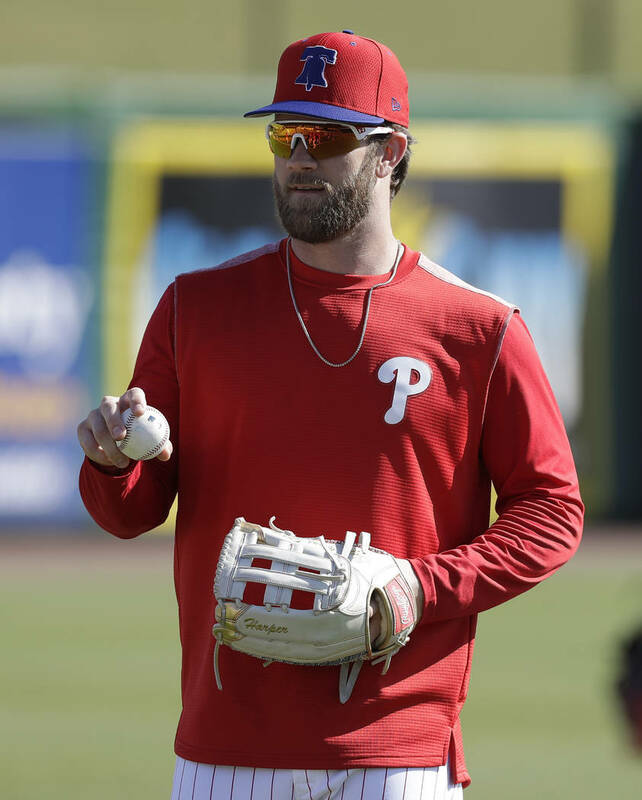 CLEARWATER, Fla. — Bryce Harper drew a five-pitch walk on Saturday in his first spring training plate appearance since signing a record contract with the Philadelphia Phillies. The six-time All-Star outfielder signed a $330 million, 13-year contract last week, the largest deal in baseball history. 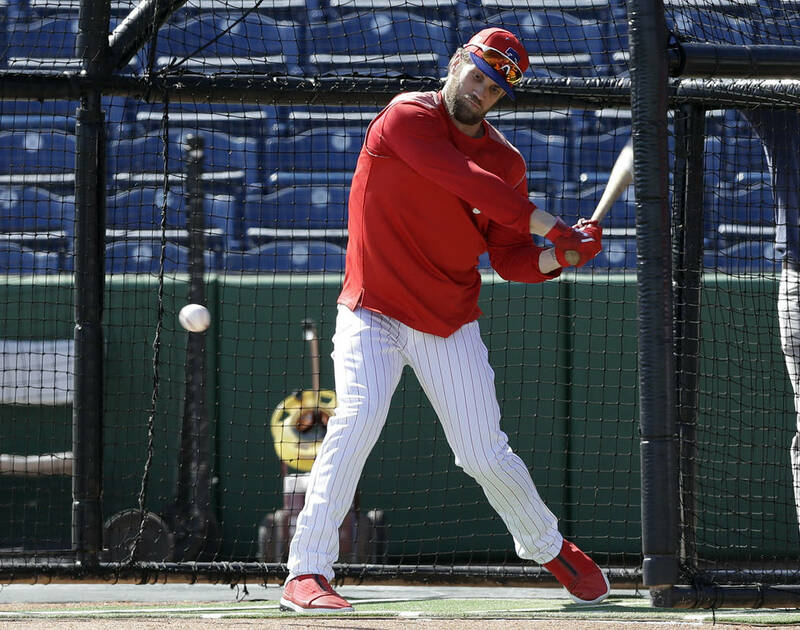 Batting third as the designated hitter against the Toronto Blue Jays, Harper took four straight pitches after a mighty swing and miss. Rhys Hoskins followed with a mammoth two-run homer. Wearing No. 3, Harper earned a loud ovation from fans at Spectrum Field. The 26-year-old Harper played his first seven seasons for the Washington Nationals. He was the 2015 NL MVP.